This is the registration page for Adventures in SEO, an instructor-led course. Adventures in SEO is a little different than most courses on the market, so let me explain what I mean by "instructor led." All course materials, including video lessons, are available on Day 1. The instructor-led portion is meant to help you walk through the material in a structured way and clear up any questions you have as you go along. Participating in the "live" component is completely optional. For the duration of the 6 weeks, you will be in an interactive Facebook group called Adventures in SEO Central where you can ask questions, receive feedback from other students and from me during my weekly office hours. Throughout these 6 weeks, I will also be in the group adding additional commentary to complement the lessons we're covering that week and giving discussion question prompts to facilitate learning. Once the 6-week live portion ends, you will have continued access to the course materials for the life of the course. What's covered in this course? Google and Pinterest keyword optimization. It is fairly equally split between the two. That's because the two platforms are similar to rank for that many of the same principles apply to both. This course teaches you how to optimize your content if you want to get solid traffic from Google, Pinterest, or both. Enrollment for the March 5th class start is discounted to $297 (or two payments of $149). Next session pricing will start at $397. Q: Is this course video or text? Adventures in SEO is primarily a video course. 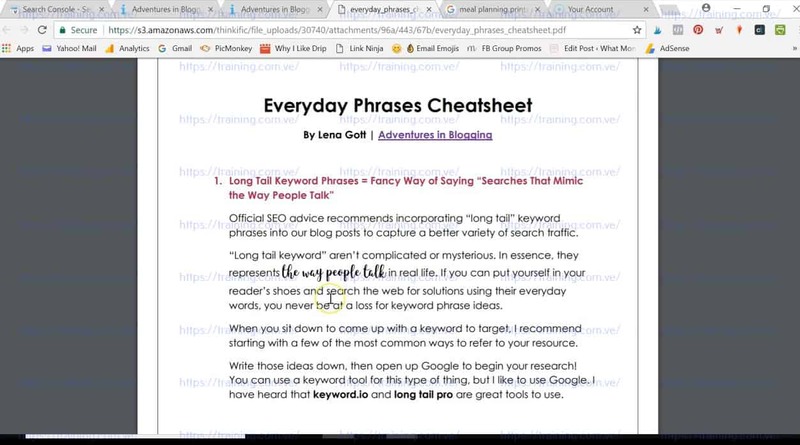 The main modules are all screen shares where I go into my Pinterest account, WordPress dashboard, and Google to show you exactly how I do the keyword research we cover in the course. Many of the lessons are text AND video (a text intro with an embedded video to demonstrate). As such, the # of video vs text modules shown below is misleading. Most of the text modules also contain videos. I wanted to make sure to point this out, in case you strongly prefer to learn by reading. The course offers a combination of both learning modalities. We will begin accepting affiliates in late March / April! Only students (current or former) may become affiliates for this course. Yes! Many of my students have seen great success using the strategies in this course. I'm really looking forward to the March 5th class start. I hope to see you there! WHAT CAN YOU EXPECT FROM DUAL OPTIMIZATION? WHAT MAKES A POST SO DARN CLICKABLE?! 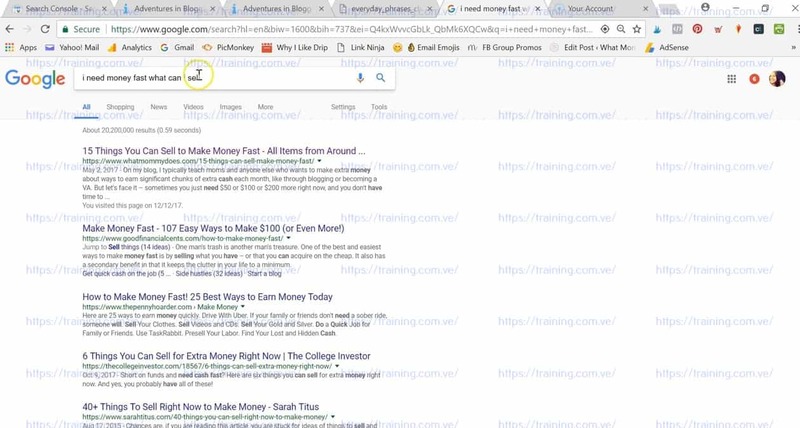 WHAT KIND OF TRAFFIC DO YOU NEED TO MONETIZE YOUR WAY?